Do you have lists? We all have lists! Did you know you can show Facebook and Google Ads just to your lists? Stop blasting your message and send it just to your target audiences. We can show you how to really market to the lists you already have. In addition, we can automate your email process. Start conversations that lead to conversions. CellCon Consulting takes you beyond the traditional email service providers with “after-the-click” tracking for truly personal messaging. You can send each and every lead just the right information at just the right time in their unique buying process – and notify salespeople to act at just the right time. 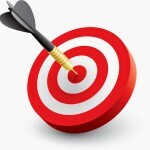 At CellCon Consulting, we’re here to help you properly target your marketing efforts. We make sure you’re being seen by the people you’re looking for. So, let’s see how we can work for you. Complete the form below, call us (973/736-3001) or click here to make an appointment on-line.